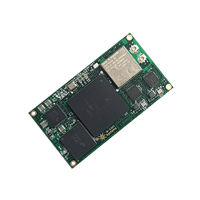 eSOMiMX7 is a low power and small form factor System-on-Module based on NXP / Freescale's i.MX7 Solo / Dual core ARM® Cortex™-A7 @ 1GHz along with dedicated real time ARM® Cortex™-M4 MCU. 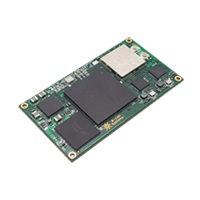 As part of the "Productized Services" program of e-con Systems, the eSOMiMX7 is aimed at reducing the time-to-market for our customers by making use of the stabilized and ready-to-market eSOMiMX7 modules in the customer applications. 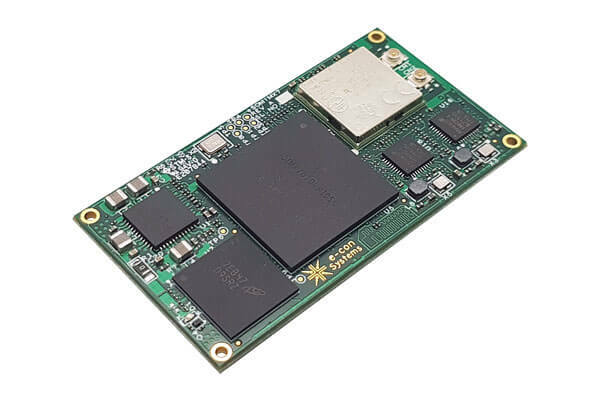 eSOMiMX7 modules with various configurations and OS support will enable our customers to focus on their application design rather than spending large unnecessary engineering man-hours involved in CPU/memory subsystem design. 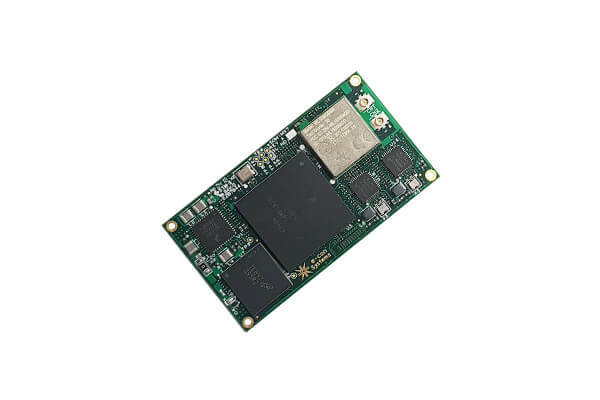 e-con provides a Rapid development kit for eSOMiMX7 called Acacia. 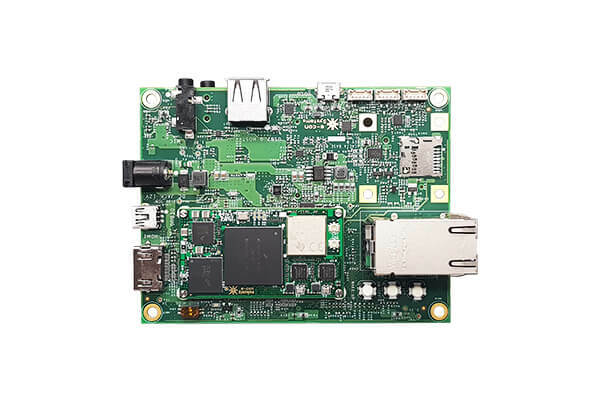 This Development kit features a carrier board around the eSOMiMX7 Module with peripherals. 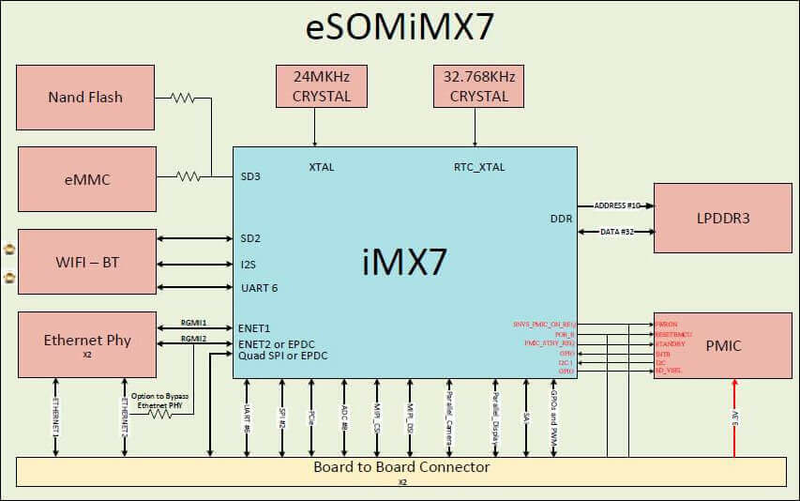 eSOMiMX7 can be customized with the following configuration. x-variants can be chosen from the following eSOMiMX7 Part Number Decoding Table. 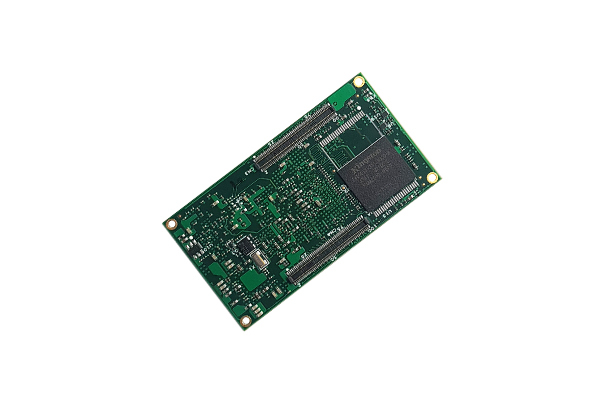 For the other configurations, the minimum order quantity (MOQ) is 100. please contact sales@e-consystems.com for more information.